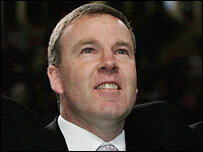 Millwall have confirmed the appointment of Manchester City reserve-team boss Kenny Jackett as their new manager. Jackett, 45, will take up his role following Tuesday's League One fixture against his former club Swansea. Jackett told the club website: "I'm excited to be joining. This is a club with tremendous potential." Veteran defender Richard Shaw and coach Colin West had been in temporary charge of the Lions following the sacking of Willie Donachie on 8 October. I'm reasonably happy. What did Swansea fans think of him during his time there? Chairman John G Berylson said: "Kenny has gained tremendous experience as a player, coach and manager. He has helped three teams win promotion as manager or assistant. "His management skills are first class and I am confident he will soon have Millwall moving up the league."